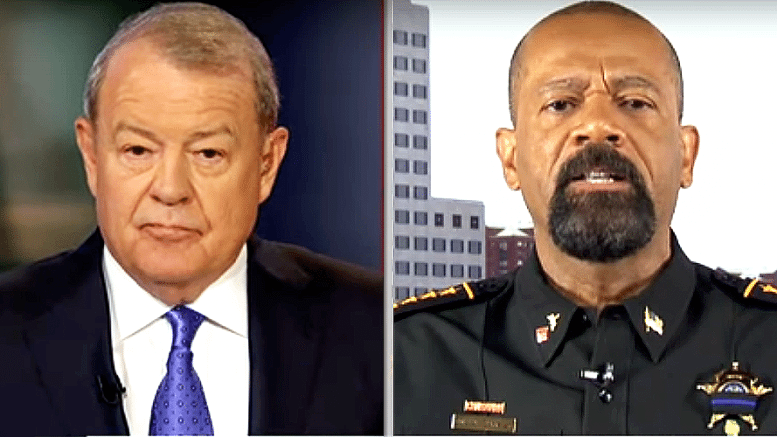 Stuart Varney asks Sheriff David Clarke what the fact that the latest Islamic terrorist used a truck to murder almost 100 people has to say about the Obama plot to disarm us out of a fear of gun terrorism. Clarke is pretty much fed up with the nonsense coming out of the White House terrorist’s mouth in general as well as his would-be successor, Hillary Clinton and the rest of the apologists and enablers of terrorism. The anti-American establishment elites want to ask the world’s permission before we act; he’s had enough with talking as a replacement for action. It’s past time for America to do something to wipe the scourge of radical Islamic terrorism from the globe. 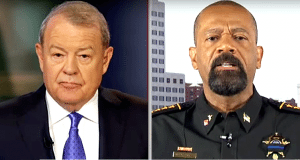 Varney asks what he’d like to hear out of the upcoming Trump-Pence news conference, and Clarke maintains the same theme. The tolerance for the hateful brutal and barbaric ideology of radical Islam has gone on for too long. It must be eliminated.